“When you enjoy what you do, work becomes play.”What if your work involves playing with children? Sounds intriguing right? Well, the kind of work that Project KHELdoes seems to be just this but it is so much more deep and fascinating than what its name suggests. Visit Project KHEL’s sessions and you are bound to be envious of the facilitators teaching crucial life skills to the kids while playing with them and that is what Made in Maidaan is all about. Project KHELis the first ever NGO that I have worked with and a session at one of their centres in Lucknow is something which I will reminisce about few years down the line. No official introduction and no social obligations, but I was still greeted with enthusiastic high-fives from kids as young as 5 to adolescents aged 15 years, as soon as I reached the venue. It was drizzling but that wasn’t a deterrent to their enthusiasm to play and learn, something quite rare among the tech-savvy privileged generation of ours. In one of the sessions, had a chance of handling kids younger than 6 who weren’t really a part of the session as the programme is targeted towards 7 years to 19 years. Anyone would have underestimated the skills of these 4-5-year-old kids but to my surprise not only did some of them come up to assist and assume the responsibility of the naughtier ones, they managed to celebrate the victory of their opponent team with enthusiasm no less than their own win. KHELshaala, the other program of Project KHEL, sessions not only aim to empower each child with the love for learning and to help them to acquire basic literacy competencies as per their age level but also motivates the parents to take the tough decision – to have a child help bring bread to the table or educate the child and help them aspire towards a better life. Whenever I had time to engage with kids beyond my task of data collection, I taught a few of them. My favourite group of children were the ones who shared my fascination with numbers and were enthusiastic to learn mathematics. Having got an opportunity to teach them basic mathematics and seeing their willingness to learn more about it made me realise that what binds me to them more than the others is our common love for a subject. I would give certain questions to one of them and soon I would be surrounded by two more kids, who were eager to do more. Belonging to the English-speaking-generation, I was never proficient in counting in Hindi. My experience at Project KHEL not only taught me this but also gave me lessons for life which I will carry in my heart forever. Our generation has forgotten that the greatest lessons of life are learnt on the play field, a concept Project KHEL has successfully implemented through their programme Made inMaidaan. 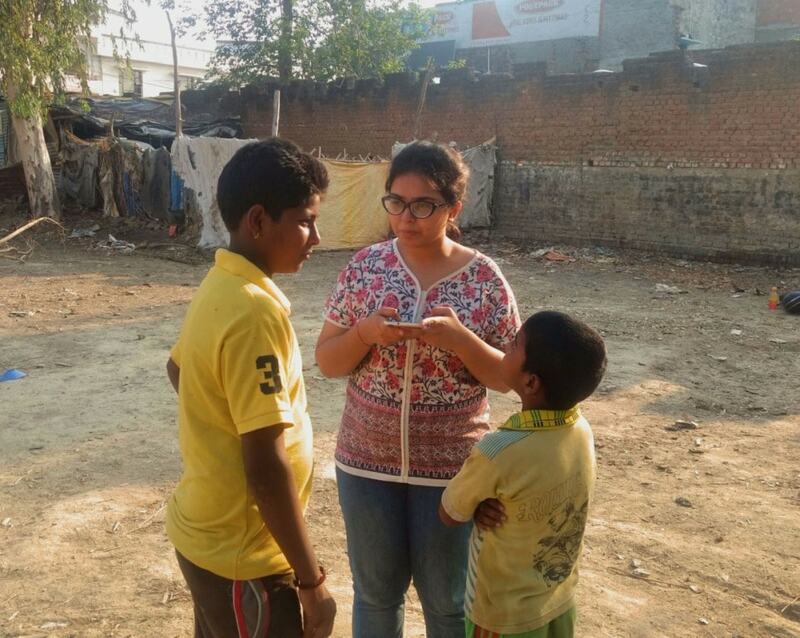 Even in the short duration, I was a part of these sessions, I could see the immense impact a programme like this was having on the children and why everyone at Project KHEL truly believes they are educationists in the true sense of the word. Through KHELshaala they have managed to change the mindsets of many parents who were hesitant to send their kids to school. I was fortunate enough to get an opportunity to be a part of Project KHEL and unfortunate enough to not have the time to be with them for a longer duration. To the great work done, lessons learnt and lives impacted, Project KHEL has come a long way in realising their objective of taking the education beyond the classroom.